Thank you for becoming our affiliate! We’re excited to have you onboard and are committed to your success. On this page you’ll have access to all the affiliate tools you’ll need to start promoting and earning commissions. Text Game Decoded -Texting In 2018 Is Completely Different. Our aboveh offers have 2 upsells in place, paying 75% commissions. You can find details of our offer below, as well as the affiliate links for promote. You get your affiliates links through ClickBank, as it’s the easiest and fastest way to get your affiliate links. You can literally get your affiliate links and start promoting in less than 60 seconds. ATTENTION: You must replace the AFFILIATE with your unique Affiliate ID! You can either copy/paste these swipe files or you can change it up and use your own subject lines, use the subject lines provided, and/or keep or change up the copy (depending on who your audience/what your niche is). 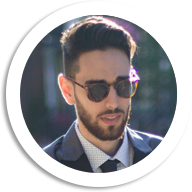 In this email I am going to share with you something completely different that Moe Abbassi (who you may have already heard of) has been using to land hot dates with models. Subject: Option 1) Want to have women BLOWING up your phone? Subject: Option 2) Can you really have girls texting you non-stop? For those who haven’t gotten Text Game Decoded yet… why? Women start chasing YOU. A way where you don’t have to send back and forth go-nowhere text messages. A way that’s simple. A more alpha way. Subject: Option 5) Are you alpha enough to have women chase you? This is not for you. No joke. You will NOT use the information for any bad intentions to break girls hearts… got it? WRITTEN AND COPYWRITING MATERIALS/CONTENT IS PROTECTED BY COPYRIGHT, DESIGNS AND PATENTS ACT 1988 (CDPA). DO NOT USE ANY OF THE WRITTEN AND COPYWRITING MATERIALS/CONTENT UNLESS BEING USED FOR AFFILIATE PROMOTIONS FOR MOE ABBASSI’S TEXT GAME DECODED PRODUCT. IF THE WRITTEN AND COPYWRITING MATERIALS/CONTENT IS USED FOR OTHER PRODUCTS OR PROMOTIONS THAT IS NOT AFFILIATED WITH MOE ABBASSI AND TNS GROUP COMPANY, YOU ARE INFRINGING ON COPYRIGHTED MATERIALS AND ARE SUBJECT TO LEGAL ACTION. We are here to help our affiliates as much as possible and are more than willing to work with you to help make promoting Text Game Decoded as successful as possible for you.